The Ministry of the Environment, Japan (MOEJ) and the Global Environment Centre Foundation in collaboration with the Coordinating Ministry of Economic Affairs and the JCM secretariat Indonesia jointly organized “Seminar on the Joint Crediting Mechanism (JCM) Project Implementation in Indonesia” on 12 July 2017 in Bogor, Indonesia. 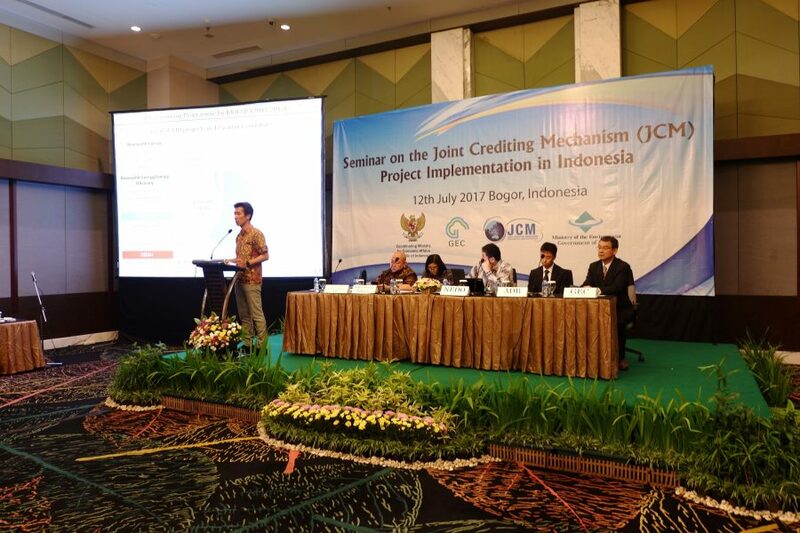 In this seminar, government officials and representatives of related organizations from both countries shared the progress of the Joint Crediting Mechanism (JCM) and Asian Development Bank introduced the Japan Fund for the Joint Crediting Mechanism. Furthermore, speakers from 12 JCM Model Projects and 3 Demonstration Projects, which are supported by MOEJ and New Energy and Industrial Technology Development Organization respectively, shared the progress of their projects and exchanged information on JCM implementation. Click on the title of the presentation below to view it in pdf. – Mr. Toshihiro Okuda, EBARA REFRIGERATION EQUIPMENT & SYSTEMS CO., LTD.
– Mr. Masaaki Kanbe, Lawson, Inc.
– Mr. Yukihide Shiba, Zeneral Heatpump Industry Co., Ltd. 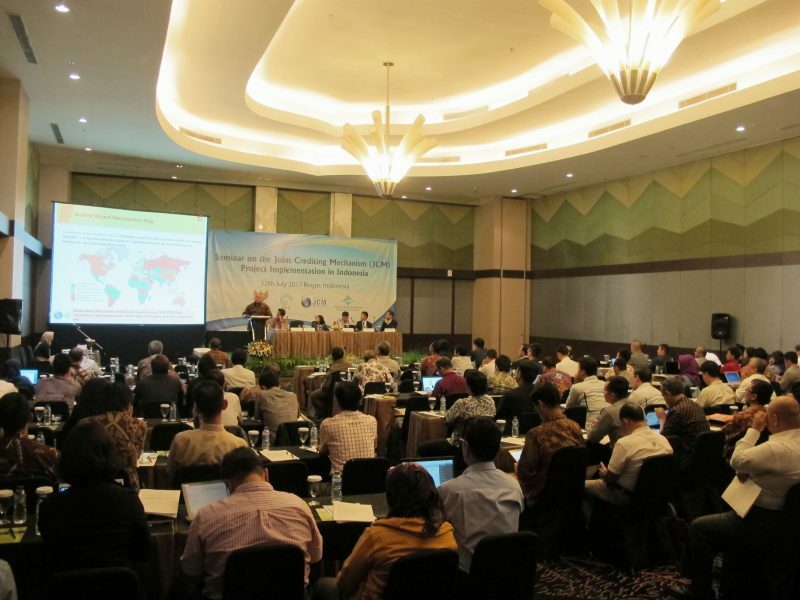 Tables hosted by Indonesia JCM Secretariat, MOEJ, GEC, NEDO, and ADB will be prepared. Participants are welcome to visit these tables and ask questions related to JCM.